Drink in the sun quenched colors of papaya quartz. As the summer sun sets and scatters its warmth against the sky let this elegant stone add sophistication to a romantic evening under the stars. With its lush melon hues and dazzling sparkle this rare pinkish-orange beauty will make you feel like royalty. Papaya quartz is a stunning pinkish-orange stone. 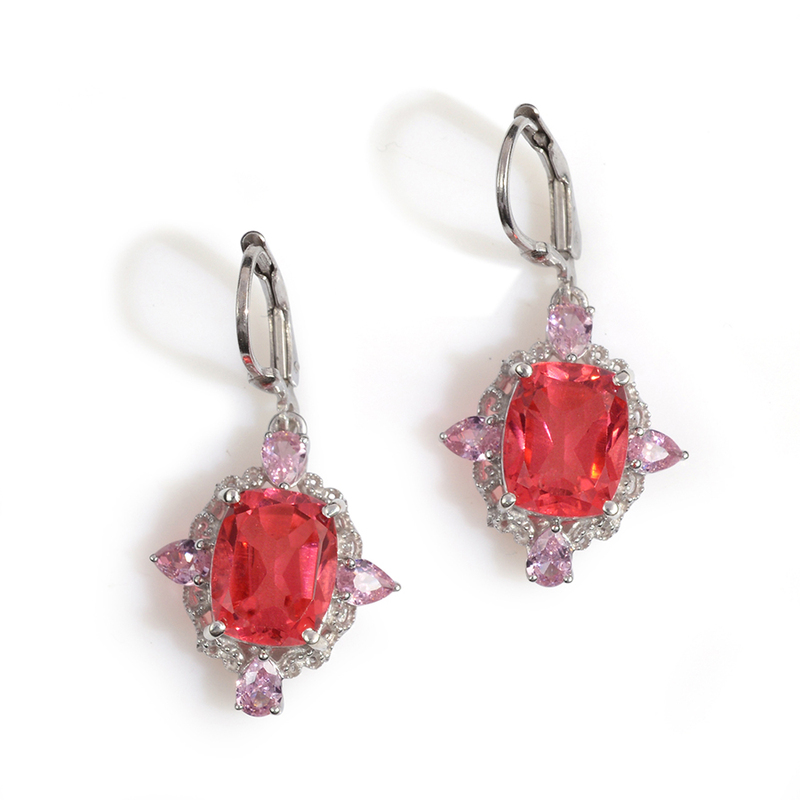 Its color blends the beauty of ruby and pink sapphire. 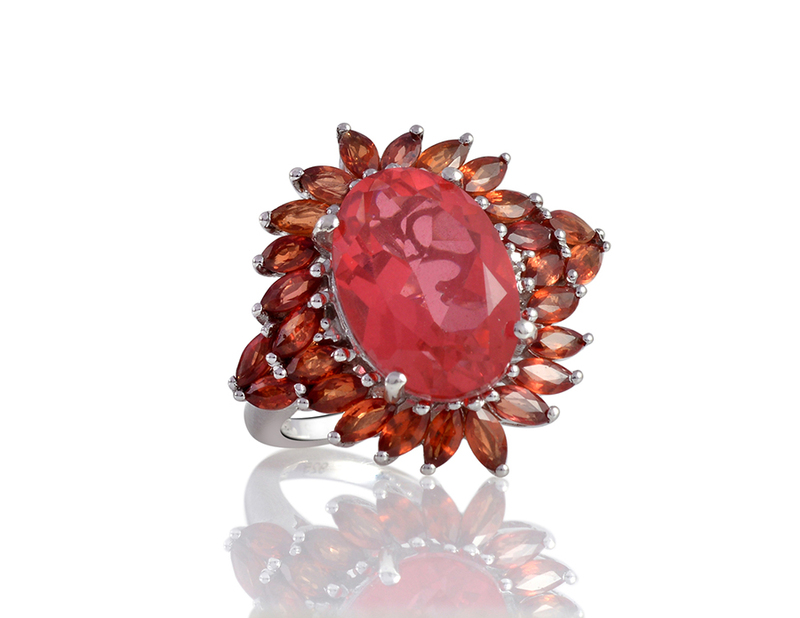 Its magnificent color also known as the padparadscha color after the coveted padparadscha sapphire has earned papaya quartz the reputation of being an elegant and high-status stone. Papaya quartz's pinkish orange color can range from mostly pink to mostly orange. 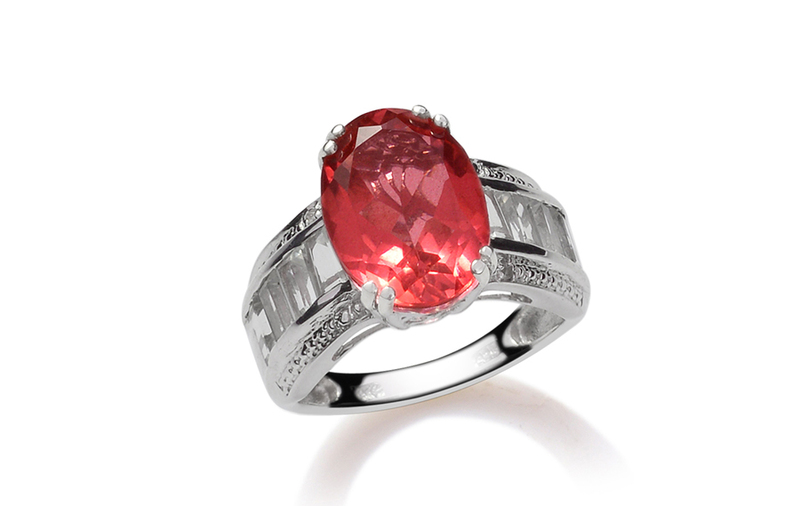 However in order to be considered a padparadscha color it must display both orange and pink hues with a pastel tone. There is no standard preference for whether orange or pink should the dominant hue. 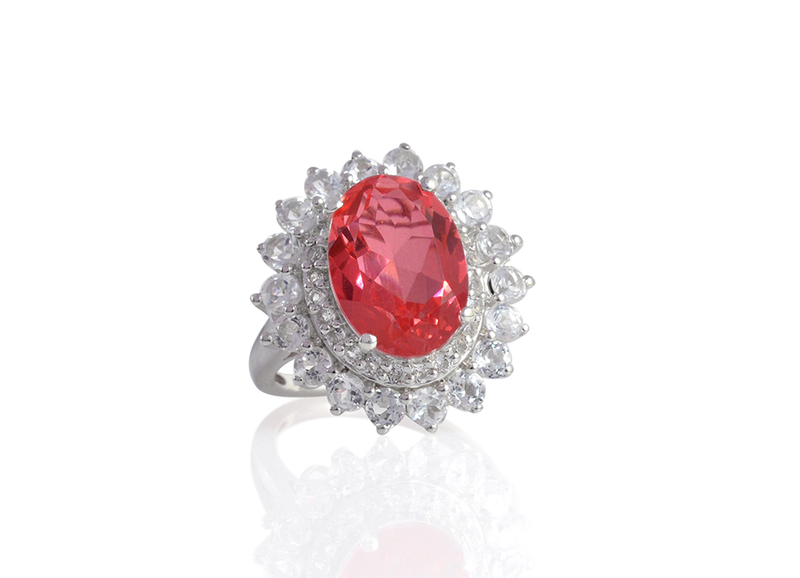 Like padparadscha sapphire papaya quartz symbolizes both royalty and class. This highly desired gemstone has undergone a unique coloring process. Very high quality naturally clear quartz crystals have been colored to achieve this rare pinkish orange hue. Papaya quartz is exclusive to Shop LC and we are proud to offer this elegant and stylish gemstone at a fraction of the cost. Papaya quartz is fine transparent quartz that sparkles brilliantly as light passes through the stone uninterrupted. This stunning gemstone is best viewed in daylight especially during the golden hour that period shortly after sunrise or just before sunset. • Some of the earliest tools fashioned by man were made of quartz. Dating back to 2.5 million years ago primitive quartz tools were discovered in the Omo valley of Ethiopia. It is believed that quartz was used because of its hardness and isotropic brittleness that made the fashioning of the tools relatively easy. • Quartz is known to heighten the energy of other gemstones and is considered an important healing stone. It is said to illuminate the soul. It cleanses and transmits energies while removing barriers to spiritual growth and filtering negative energy. Quartz is one of the most abundant single minerals on earth. 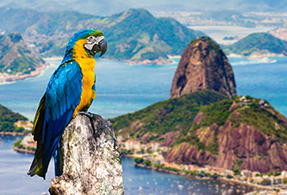 It makes up close to 12 percent of the earth's crust and occurs in a wide variety of igneous metamorphic and sedimentary rocks. It is also the most diverse gemstone in terms of varieties colors forms and has been used for thousands of years. While jewelry quality quartz can be found in Africa Madagascar India and the United States the best quality and most brilliant natural clear quartz crystals are found in Brazil. Shop LC sources clear quartz crystals gemstones from Brazilian mines and we have taken our stones through a unique coloring process to display this highly desired padparadscha hue. Quartz comes in a full spectrum of colors but papaya quartz is a transparent pinkish orange or padparadscha color. This gemstone has undergone a coloring treatment and conversion to a triplet.